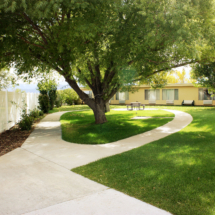 RICHFIELD REHABILITATION AND CARE CENTERis the premier long-term care and rehabilitation facility in South Central Utah. Nestled in the red hills of Sevier Valley, our surrounding mountains and rich agriculture provide a serene neighborhood to call home. 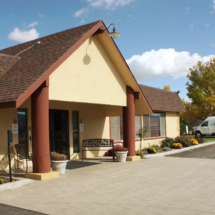 Established in 1976, we are proudly located in Richfield, just east of Sevier Valley Medical Center. We are dedicated to providing quality, loving care with courtesy and compassion. 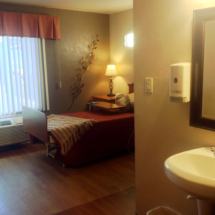 We specialize in short-term rehabilitation, long-term care and memory care. We are certified by MedicareandUtah Medicaid, and accept most insurance plans. 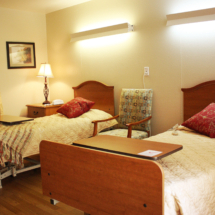 Our newly remodeled 63 bed facility offers semi-private and private rooms and is fully staffed with 24-hour nursing care and a physician to oversee patient care. Our rehabilitation team offers the finest in physical therapy, occupational therapyand speech therapy. Our team of professionals work diligently to provide a home-like environment with lively recreation activities and meals that taste like they were cooked at home, and will assist with your transition from our care back into the community. 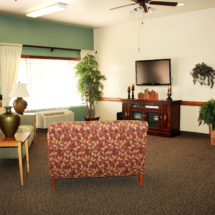 Richfield Rehabilitation and Care Center offers more than just 24-hour nursing care, we cater to both the physical and emotional health of our residents and patients. Our care teams work together to create personalized treatment plans to help patients through their care journey. We strive to provide industry-leading outcomes through coordination of all aspects of your care.